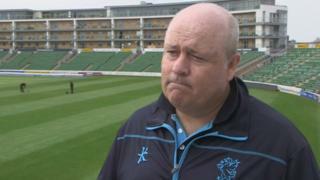 Somerset director of cricket Dave Nosworthy tells BBC Spotlight his players must forget their poor season in the Championship last year and focus on improving this term. The Taunton club finished sixth in the table in 2013, having finished second the year before. Nosworthy is in charge of his second campaign, which starts on Sunday in their Division One game against Yorkshire.